MassBay Community College is committed to providing access to higher education by reducing economic barriers. The role of the Financial Aid Office is to provide information about student aid programs and to assist eligible students in accessing these programs. Students are encouraged to apply for financial aid to help meet the expenses of attending college. Have a high school diploma, General Education Development (GED) certificate, or have completed a high school education in a home school setting that is recognized as a home school under state law. Enroll in an eligible program as a matriculated student seeking a degree or certificate. An admissions application must be completed and received by the Admissions Office. Be registered with the Selective Service, if required. Males age 18 through 25 are required to register. Certify that you are not in default on a federal loan or owe money on a federal grant. Certify that you have not been convicted for the possession or sale of illegal drugs for an offense that occurred while you were receiving federal student aid. For more information regarding your eligibility status related to this issue, please call the Federal Student Aid Information Center at 1-800-4-FED-AID (1-800-433-3243). Create an FSA ID. The Federal Student Aid (FSA) ID, made up of a username and password, is used to access certain U.S. Department of Education websites. Your FSA ID is used to authenticate your identity when accessing your financial aid information. You can create an FSA ID at https://fsaid.ed.gov (NOTE: If you are a dependent student your parent must also create an FSA ID). Save your FSA ID to use again in future years. Complete the 2016-2017 Free Application for Federal Student Aid (FAFSA) online at www.fafsa.ed.gov. The FAFSA is used to determine your eligibility for federal and state financial aid. List “Massachusetts Bay Community College” in the College Release Section; our federal school code number is 002171. Submit additional documents to the Office of Financial Aid if requested by MassBay. The priority deadline for federal financial aid for the 2018-2019 academic year is May 1, 2018. Students who complete the application process by this date will have an award decision prior to the start of the fall semester. The priority deadline for those entering the College in January 2017 (i.e. spring semester) is October 1, 2018. If a student has not completed his or her file by the priority deadline, they may be responsible for settling their fall bill without the benefit of financial aid. Changes in federal, state, and/or institutional policy could affect information contained in this Catalog. The U.S. government places the primary financial responsibility of a college education on the student and the student’s family. Financial aid is considered only a supplement to a student’s personal resources. A student’s financial aid award will be adjusted to reflect any change in the number of credits for which they are currently registered. Certain financial programs require specific credit loads. Please visit the Financial Aid Office for details. You may obtain a copy of the Financial Aid Handbook, which further explains the eligibility requirements for financial aid by visiting or calling the Financial Aid Office. Federal Work-Study (FWS) is a federally funded program that provides part-time jobs in nonprofit institutions on- and off-campus. FWS funds are awarded on a funds available basis. Eligibility is determined from the information provided on the FAFSA. If a student is awarded FWS, the amount shown on the financial aid award notification reflects the maximum amount he or she may earn during the academic year. FWS employees will receive a paycheck every two weeks based on the actual number of hours worked and the pay rate. FWS funds are not credited to a student’s account. Please be aware that a Federal Work-Study award does not guarantee a student a job. If you are awarded FWS, please visit the Office of Financial Aid to view a listing of available positions and to complete any necessary paperwork. The Federal Pell Grant is a need-based grant program from the federal government for undergraduate students with significant need. The maximum amount for the 2017 - 2018 Federal Pell Grant is $5,920 for a full-time student. Maximum Pell Grant amount for 2018 - 2019 is currently $5,920. In order to be eligible for a Pell Grant, a student must have a valid Expected Family Contribution (EFC), meet all of the general Title IV student eligibility requirements, and not have a prior bachelor’s degree. The Federal Supplemental Educational Opportunity Grant is a need-based grant from the federal government for undergraduate students with significant financial need. FSEOG is awarded on a funds available basis, typically to students who are recipients of the Federal Pell Grant. The amount of a typical FSEOG is $200. Stafford loans were created by the U.S. Department of Education, enabling students to borrow to help pay educational expenses. MassBay is responsible for determining eligibility based on the results of the FAFSA and current federal regulations. The loan(s) are taken out in the student’s name, and there is no credit check required to qualify for this program. The government sets a limit on the amount a student can borrow each year. First-year students are eligible to borrow up to a mximum of $5,500, for sophomores $6,500 (For independent students the loan limits for first-year students are $9,500 and $10,500 for sophomores). All recipients must complete federally mandated loan counseling and complete a master promissory note prior to the disbursement of funds. Exit counseling must be completed before graduation, at termination of enrollment, or if enrollment drops below six (6) credits in a semester. Students must be enrolled in at least six (6) credits in a semester to be eligible. Subsidized Direct Stafford Loans are need-based and do not accrue interest while a student is enrolled at least half-time. Unsubsidized Direct Stafford Loans are not need-based and accrue interest while a student is enrolled. Students may choose to defer the interest and pay it with the principal amount upon graduation or less than half-time enrollment, or pay the interest on a quarterly basis while still enrolled. Repayment for both Subsidized and Unsubsidized Federal Direct Stafford Loans begins six months after a student graduates, withdraws, or is attending school less than half-time (five credits or fewer). For additional information regarding these federal loan programs including current interest rates, fees, and repayment options, please visit the Direct Loan website at https://studentaid.ed.gov/sa/types/loans. The PLUS loan is a federal government loan borrowed through the College in the parent’s name. PLUS loan applications and master promissory notes are accessible online at www.studentloans.gov/. The disbursement of PLUS funds is administered by MassBay. Parents are eligible to borrow up to the cost of attendance minus all other sources of financial aid. Repayment begins within 60 days after the second disbursement is applied to the student’s account. For additional information regarding these federal loan programs, including current interest rates, fees and repayment options, please visit the Direct Loan website at https://studentaid.ed.gov/sa/types/loans. MassBay is approved by the Department of Veterans Affairs to certify students eligible to receive Veterans Administration (V.A.) benefits. Veterans of the U.S. Armed Forces, reservists, and dependents of deceased veterans may be eligible for V.A. education benefits as a result of their service. Students may apply for educational benefits for full, three-quarter, or part-time enrollment. The V.A. Certifying Official provides the appropriate paperwork to apply for G.I. Bill benefits and is responsible for certifying enrollment status to the V.A., which results in the payment of benefits to a student. However, the V.A. Certifying Official does not determine eligibility for benefits. Massachusetts residents who are members in good standing with the Massachusetts National Guard are eligible for a waiver of tuition and fees for day and evening credit classes. For information about eligibility requirements and application procedures, please see the Veterans Affairs Counselor located in the Office of Student Development, or visit www.massbay.edu/veterans. This grant is awarded to full-time (12 credits or more each semester) students who are Massachusetts residents and who do not have a prior bachelor’s degree. A FAFSA must be filed by the May 1 priority deadline to be considered for this grant. This grant is awarded to Massachusetts residents who are enrolled in six to 11 credits each semester and do not have a prior bachelor’s degree. The Massachusetts Part-Time Grant is awarded on a funds available basis. This is funding provided to MassBay from the State of Massachusetts. This state-funded tuition waiver program (does not need to be repaid) is available to undergraduate students who are Massachusetts residents. Students must be a permanent legal resident of Massachusetts for at least one year prior to the opening of the academic year and be a U.S. citizen or a non-citizen eligible under Federal Title IV regulations. Students must not have a prior bachelor’s degree. Eligibility is based on demonstrated financial need and actual tuition charged for state supported undergraduate degree or certificate program offered by the institution. These funds are limited and students with high financial need are given first priority. For additional information please visit the MA Office of Student Financial Assistance at www.osfa.mass.edu. This scholarship is a merit based, state supported undergraduate tuition waiver program. Merit is based on student scores on the 10th grade Massachusetts Comprehensive Assessment System (MCAS) test. Award amounts are based on actual tuition charged for state supported undergraduate degree programs (certificates programs are not eligible) offered by MassBay. Forward a copy of your eligibility letter from the Massachusetts Department of Education to the Financial Aid Office. If you have misplaced your letter, you may contact the Department of Elementary & Secondary Education at 781.338.3625 or 781.338.3640. You may also contact the Massachusetts Office of Student Financial Assistance at 617-391-6070. In order to receive this scholarship, eligible students must be enrolled full-time and annually complete the Free Application for Federal Student Aid (FAFSA). For additional information please visit the MA Office of Student Financial Assistance at www.osfa.mass.edu. This is funding provided to MassBay from the State of Massachusetts. This state-funded grant program (does not need to be repaid) is available to undergraduate students who are Massachusetts residents. Students must be a permanent legal resident of Massachusetts for at least one year prior to the opening of the academic year and be a U.S. citizen or a non-citizen eligible under Federal Title IV regulations. Students must not have a prior bachelor’s degree. Eligibility is based on demonstrated financial need and actual tuition and fees charged for state supported undergraduate degree or certificate program offered by the institution. These funds are limited and students with high financial need are given first priority. For additional information please visit the MA Office of Student Financial Assistance at www.osfa.mass.edu. Various scholarships are available to assist MassBay graduates seeking transfer to four-year institutions. Below is a sample list. For more information on requirements and application deadlines for these and other transfer scholarships, please contact the College’s Transfer Counselor or the four-year institution directly. Boston University’s Metropolitan College provides the opportunity to complete a Bachelor’s degree in their evening and weekend program. This scholarship will cover 50% of tuition costs for up to 12 credits per semester, through the completion of a student’s Bachelor’s degree. Students must be graduating from MassBay with an Associate degree and a minimum GPA of 3.0. This scholarship is awarded each fall and spring semester. Three $1,000 awards are granted each year to students who have earned an associate degree or completed 60 college-level credits with a 3.5 GPA. Recipients must be transferring to a New England Transfer Association (NETA) affiliated 4-year institution. A NETA member must nominate a student for consideration, and an essay is required. This scholarship is awarded each spring. This program awards up to $10,000 per year for students transferring to any University of Massachusetts campus. Requirements include completion of an Associate degree, a minimum 3.75 GPA, Massachusetts residency, and full-time status upon transfer. The award may be renewable for up to two years and is awarded each fall and spring semester. To be eligible for this program, a student must have a minimum 3.5 GPA and at least 45 earned academic credits towards a MassBay degree at the time of application, be completing an associate degree, be a U.S. citizen or permanent resident, and plan to enroll in the day division. Awards of up to $2,500 per year are possible. This scholarship is awarded each fall and spring semester. This scholarship pays for two years’ tuition and mandatory fees at UMass-Boston. To apply for this scholarship, a student must have completed or be completing an associate degree program at MassBay with a minimum 3.5 GPA. This scholarship is awarded each spring. This scholarship can provide full tuition and mandatory fees while a student attends UMass- Boston. To qualify for the scholarship, a student must demonstrate one of the following: academic excellence with a 3.5 transfer GPA, excellence in the arts, or excellence in unpaid public or community service. This scholarship is awarded each fall and spring semester. High-achieving, newly-entering students with a minimum 3.0 GPA who are interested in representing the University at key events are encouraged to apply to the Student Enrollment LEADERS Program. Applicants must plan to enroll full time. Recipients will receive approximately $1,000 annually in scholarship funding. Additionally, they must work ten hours per week within one of the offices of the Division of Enrollment Services and University Communications. Enrollment LEADERS will also serve as tour guides and goodwill ambassadors at several admissions events throughout the year. NOTE: This program is open to out-of-state students. To be eligible for this program, a student must have earned a minimum 3.7 GPA and at least 45 earned academic credits towards a MassBay degree at the time of application, be completing an associate degree, be a U.S. citizen or permanent resident, and plan to enroll in the day division. Awards of up to $2,500 per year are possible. This scholarship is awarded each fall and spring semester. 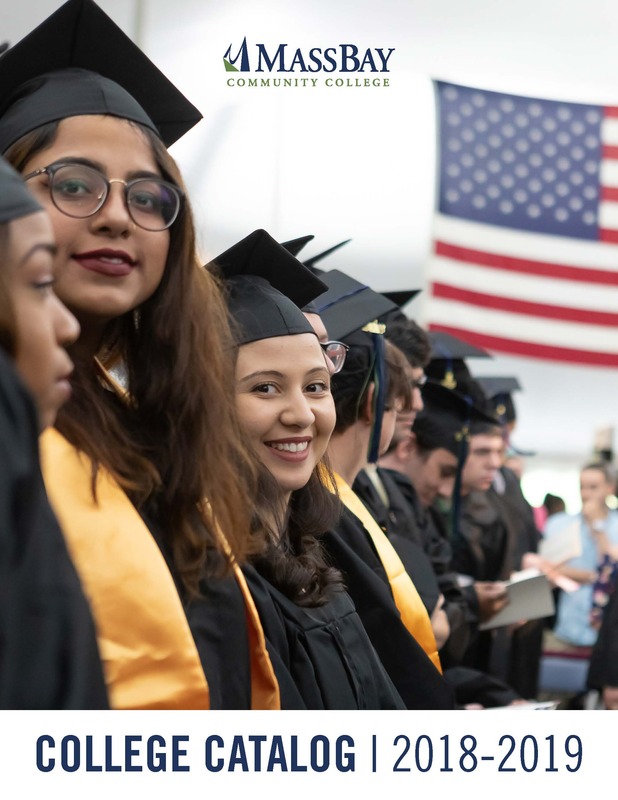 The Paul Tsongas Scholarship Program seeks to recognize achievement and reward Massachusetts students who have graduated from high school within three years with a grade point average (G.P.A.) of 3.75 and highly competitive Scholastic Aptitude Test (S.A.T.) scores (or the American College Testing [A.C.T.] equivalent) and who also meet the one year residency requirement for tuition classification at state colleges or universities. Students who meet the above residency requirement for tuition classification and who have pursued other endeavors for a minimum of five years are eligible to apply to a state college or university for the Paul Tsongas Scholarship Program under the exceptional life experience category set forth in the guidelines. Eligible students receive a waiver of tuition and mandatory fees at a Massachusetts state college or university. For more information, visit http://www.mass.edu/osfa/programs/tsongas.asp. Meet eligibility criteria established by the state college or university and approved by the Massachusetts Board of Higher Education. Be a permanent resident of Massachusetts for at least one year prior to the opening of the academic year. Be in compliance with applicable Selective Service Registration Laws. Not be in default of any federal or state loan or owe a refund on any previously received financial aid. Maintain a G.P.A. of 3.3 for continued eligibility for the waiver for four years of study. MassBay scholarships for new, Incoming students require that an application be submitted to the MassBay Office of Admissions. Scholarship criteria and applications are available on the MassBay website. This scholarship was established to support a junior or senior that is either home schooled or enrolled in a high school in MassBay’s service area. Cities and towns include: Ashland, Bellingham, Belmont, Brookline, Dedham, Dover, Franklin, Framingham, Holliston, Hopkinton, Medway, Medfield, Millis, Natick, Needham, Newton, Norfolk, Norwood, Sherborn, Sudbury, Waltham, Watertown, Wayland, Wellesley, Weston, Westwood, and Wrentham. A scholarship is awarded for the fall or spring semester to a high school junior or senior enrolled in the MassBay Dual Enrollment Program. John F. McKenzie was the founding President of MassBay Community College in 1961, and served as President until his retirement in 1983. This scholarship was established to support a graduating senior from a public high school in MassBay’s service area. Cities and towns include: Ashland, Bellingham, Belmont, Brookline, Dedham, Dover, Franklin, Framingham, Holliston, Hopkinton, Medway, Medfield, Millis, Natick, Needham, Newton, Norfolk, Norwood, Sherborn, Sudbury, Waltham, Watertown, Wayland, Wellesley, Weston, Westwood, and Wrentham. A scholarship is awarded for the fall semester to one graduating high school senior from each city and town in MassBay’s service area. This scholarship was established in the memory of Robert and Rosemary Murphy, life-long residents of Needham, Massachusetts to support a MassBay Community College student who is a resident of Needham or graduate of Needham High School. This scholarship is intended to encourage an individual who may have not done as well as he or she should have in high school and would like an opportunity to start again. A scholarship is awarded for two consecutive semesters. This scholarship recognizes academically superior graduating high school students entering MassBay Community College. The purpose of this scholarship is to attract and retain local academic scholars to MassBay. The scholarship is awarded for two (2) academic years for four (4) consecutive semesters at MassBay, a $2500 scholarship for each semester. This scholarship opportunity was established to assist students enrolled in any of the MassBay Automotive Technology Programs with tuition, mandatory fees, tools and/or books. Scholarship(s) are awarded for the fall semester. This scholarship was established to support students pursuing a career in Health Sciences who need financial assistance during the Nurse Assistant Training Program. It is designed to assist individuals to start or re-start their education to reach higher levels of employability. Scholarship awards vary depending on funding. If you are currently enrolled at the College, you may apply for scholarships through ACADEMICWORKS http://massbay.academicworks.com/ by using your MassBay username and password to login. We begin accepting scholarship applications on the first day of course registration for each semester. You must be registered in the current semester for your scholarship to be considered. After completing the general scholarship application, you will able to view and apply for particular scholarships. Each scholarship has unique criteria and requirements. Angelina Grimaldi Cioffari was a professor of French, Spanish, and Italian at MassBay Community College from 1964-1980. Her son, Vincent, established the Angelina Grimaldi Cioffari scholarship in her memory to support a student who demonstrates high academic success in a foreign language. The Boston Marathon Scholarship was established leading up to the 2017 Boston Marathon, spearheaded by Susan Maggioni, Ph.D., J.D., Dean of Business & Professional Studies, to support students pursuing an associate degree at MassBay Community College. The Cyber Security Scholarship was created and is funded by the generous sponsors of the Information Security Summit established by Towerwall and MassBay Community College. Sponsors include: Alien Vault, BROCADE, CDW-G, SOPHOS, TREND, VARIOS, VORMETRIC, WAVE, Gigamon, GovConnection Inc., HB Communications, Inc., HTS, McAfee, TCG Network Services, TIBCO LogLogic, and WatchGuard. This scholarship supports a part-time student enrolled in the Cyber Security associate degree or certificate Program. The Debi Prasad Sodhani International Student Scholarship was established to support MassBay Community College International students in good academic standing at the College, who have completed 6 or more credits at MassBay. ​Science, Technology, Engineering & Mathematics. Applicants are chosen by the Dean of each respective Division. This scholarship was established by the MassBay Community College Foundation Board to honor Dr. Salomon-Fernandez for her commitment to MassBay Community College and its students This scholarship was established to support MassBay students pursuing an associate degree or certificate. The Health Sciences Scholarship was established to support students pursuing a career in Health Sciences at MassBay complete a degree or certificate program. It was designed to assist individuals to start or restart their education to reach higher-levels of employability. Scholarship awards vary depending on the Health Science program. The Leonce Cadet Berotte Scholarship was established in honor of Leonce Cadet Berotte, father of Dr. Carole Berotte Joseph, President of MassBay Community College 2005-2011. A $2000 scholarship is awarded annually to one student who is a deserving international/immigrant dream chaser attending MassBay Community College. The MassBay Community College Foundation Board Scholarship was established by the MassBay Community College Foundation Board to support MassBay students pursuing an associate degree or certificate. The Foundation Board members give annually to this scholarship fund. The Re-entry Student Scholarship was established to support a student who is 25 years or older and returning to College. The Robert and Rosemary Murphy Scholarship was established in memory of Robert and Rosemary Murphy, life-long residents of Needham, Massachusetts to support a MassBay Community College student who is either a Needham resident OR a graduate from Needham High School. MassBay Community College Interim President Yves Salomon-Fernandez, Ph.D. (2015-2016), a firm believer public education, established the Salomon-Fernandez Scholarship. This scholarship was established to support international and immigrant students who are pursuing a College education. Two Summer Session Scholarships are available. Scholarships are awarded to support students enrolled in less than 6 credits in a summer session at MassBay Community College. Scholarships are awarded to support students enrolled in 6 credits or more in a summer session at MassBay Community College. This Felix and Nellie Juliani Scholarship was established in memory of Felix and Nellie Juliani who were passionate about education and the importance of community service and family values in one’s life. MassBay awards Merit Scholarships to students each semester. Students qualifying for these scholarships will be contacted by the MassBay Foundation Office at the end of each semester. This scholarship was established to recognize students who have declared a major, completed 12 college-level credits with a GPA of 4.0 in a semester at MassBay Community College. This scholarship was established to recognize student-athletes who have a declared major, are a member of a MassBay sports team, and completed 12 college-level credits with a minimum GPA of 3.0 in a semester at MassBay Community College. This scholarship was established to support students who have significantly improved their grade point average from the previous semester, completing 12 college-level credits each semester.